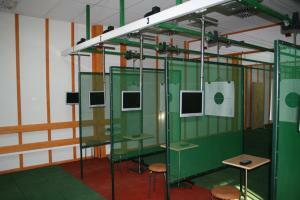 The device type UOS-10 is designed for automated targets turning for shooting with airgun at 10 meters distance. 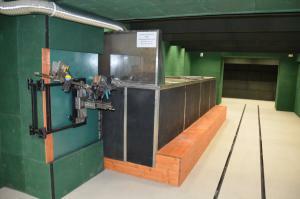 Device can be used for sport shooting in competitions: rapid, sport and standard pistol. The device can also be used for police and military training shooting of security staff as well as for recreational and defense training. Device is operated from microprocessor control panel located at the firing point. Shooter can control when to begin shooting using the starter rope connected to control panel. 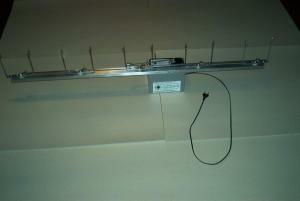 The device can be fixed to the wall or screwed to the special support legs. 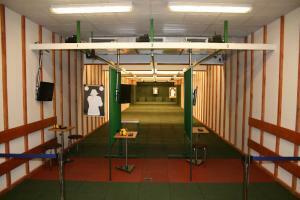 The device is a reduced copy of the UOS-25 for sport shooting on a scale of 1: 2.5.